Arcade games exploded onto the scene in the 1970s and 1980s. These games featured prominently in the cultural zeitgeist, with widespread coverage in pop culture, movies, apparel, and beyond. Spearheading the 80s arcade revolution was a game known as Space Invaders. Several other prominent games dominated the scene including the rather rudimentary Pong, TRON, Street Fighter, Pac-Man and Bubble Bobble. The precise period that is considered the Golden Age of Arcade games differs slightly from prominent authorities on the subject. However, there is consensus that 1971 – 1983 covers the full spectrum. It was during this time that major technological changes were taking place in the video game and arcade game industry. 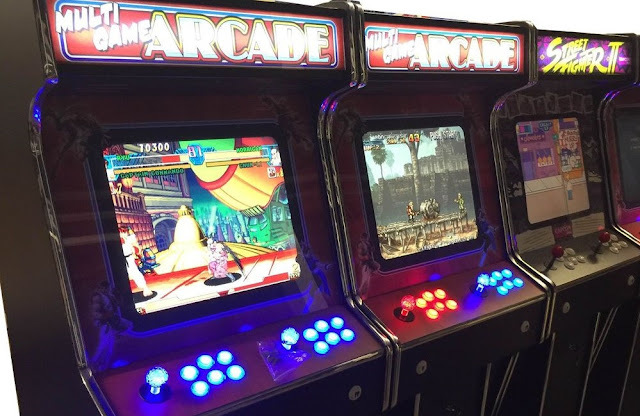 In fact, businesses across the board – ranging from gas stations to restaurants, supermarkets and beyond – prominently featured arcade games. Revenue generated from the dynamic video game industry popped at around $8 billion in 1982, and it only went up from there. Interactive video game entertainment had finally made its mark on society. The gaming industry today is exponentially larger than the heyday of arcade games back in the '80s. However, everything we have learned is attributed to the unbelievable growth of arcade games over the last 4 decades. Multiple examples of memorable titles exist, including Space Invaders, Centipede, Bubble Bobble, Pac-Man, Star Castle, and Defender, Donkey Kong, Vanguard, Front Line, Pole Position, Gravatar, Mario Brothers, Track and Field, Punch-out!! and scores of others. The highest selling arcade games include Pac-Man, Space Invaders, and Donkey Kong. Between these 3 arcade game hardware units, some 892,000+ units were sold at an average price of $1,000 – $4,000 per unit. Bubble Bobble by Taito is one of the classic arcade games. It was released in 1986, and it is available as a single player game, or a multiplayer game. It operated on the classic cabinet machine, and was about Baron Von Blubba who has kidnapped a couple of brothers and their girlfriends. They have been transformed into bubble dragons known as Bob and Bob. There is a cave of monsters featuring 100 levels of exciting gameplay. This game has given rise to multiple spinoffs over the years, and it was also ported to PCs and video game consoles. The game was generally received well, and multiple sequels have ensued. Bubble Bobble has been on the market for 32 years, and it features puzzle-style gameplay that is as captivating today as it was back then. The Nintendo Entertainment System version was released in 1988, and it’s an action-packed ensemble of entertainment for fans. How Popular Was Bubble Shooter? Bubble Shooter is one of the most addicting bubble-popping games on the market. What’s equally surprising is that this game has been around for eons. Fans call it a timeless game, and it most certainly is. 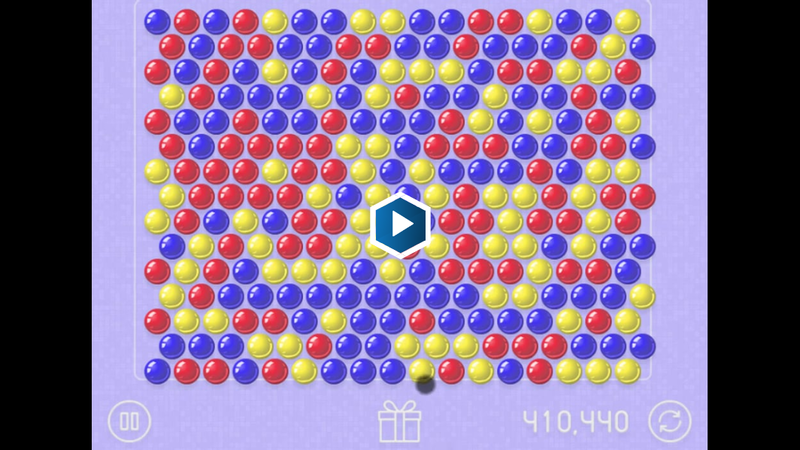 The mechanics of Bubble Shooter are simple: You are tasked with popping bubbles on screen, removing them from the game, and advancing to higher levels. With each new level comes increasing complexity, and advanced strategy requirements. Becoming an ace bubble shooter is no mean feat. This is a puzzle-style arcade game which requires you to match the same color bubbles, and then to blast them into smithereens. Once you have popped at least 3+ bubbles, it’s game on. Modern versions of this classic game now offer additional features such as fireballs and bombs. Fireballs allow you to blaze a trail when you pop 7 bubbles, while bombs are yours to enjoy when you obliterate 10 bubbles +. The greater your bubble popping tally, the higher your points score, and the better your ranking. Becoming a master bubble shooter is no mean feat. It takes time, effort and practice to ascend the rungs and become a bubble popping legend. This game developed a huge following over the years and that same interest remains alive and well today. Many fans fondly recall the Classic Bubble Shooter game, but modern-day equivalents are just as good, if not better than the erstwhile versions. For starters, you have more features and functionality to enjoy today than ever before. The fireballs and bombs are two cases in point. The graphics and gameplay are a lot more advanced nowadays, but game designers have not sacrificed the innate appeal of the arcade elements of bubble shooter games. Today’s games now feature special bubbles such as slime bubbles, diamond bubbles, stone bubbles, and chained bubbles among others. Throwback games have a huge following in the global gaming community, and it looks like they have plenty of staying power among diehard '80s arcade fans.